Spinal cord injuries are most often caused by trauma. Traffic accidents, falling from height, jumping into shallow water, gunshot wounds are the main causes of traumatic spinal cord injuries. Spinal cord injury is a complete or partial loss of spinal cord due to various causes such as trauma, circulatory disorder, infection, and tumor. Spinal cord injuries are most often caused by trauma. The spinal cord is the organ of the nervous system that provides communication between the brain and the body. It extends from the base of the brain to the middle of the waist, in the spine behind our body, along its own channel. The sensory signals taken from the body are first transmitted to the spinal cord and then to the brain. Movement orders in the brain go down along the spinal cord and reach the relevant muscles through the nerves coming from there. In addition, functions such as heart rate, blood pressure, bladder and bowel control and sweating are regulated via the communication channel provided by the spinal cord. Spinal cord injury is a complete or partial loss of spinal cord due to various causes such as trauma, circulatory disorder, infection, and tumor. Spinal cord injuries are most often caused by trauma. Traffic accidents, falling from high, jumping into shallow water, gunshot wounds are the main causes of traumatic spinal cord injuries. In such traumas, sometimes spinal fractures occur, but the inside spinal cord is not injured. In this case, paralysis will not develop. In cases of spinal cord injury, problems such as loss of sensation in the body and below the level of injury, weakness in the muscles, disruption of the bladder and bowel functions, blood pressure problems and impaired control of the body temperature occur. This clinical picture is known as spinal cord paralysis. The higher the spinal cord injury, the more severe the results of spinal cord paralysis. For example, a spinal cord injury in the lumbar spine may only result in a partial weakness in the leg and ankle, whereas in a thoracal level injury complete weakness in the legs may develop. In a spinal cord injury in the upper levels of the neck, both arms and legs can be paralyzed. Medically, neck level is symbolized by the letter C; it is numbered from C1 to C8 from top to bottom. The thoracal level is 12 levels from T1 to T12. The lumbar level is 5 levels from L1 to L5. Finally, the bottom level of the coccyx is from S1 to S5. In most spinal cord injuries, there is no complete physical break or incision in the spinal cord. Although the spinal cord organ continues its structural continuity, its function is impaired and it has lost its ability to transmit signal. The severity of the injury is determined by physical examination. If there is a symptom of function at the lowest level of the spinal cord, a partial (incomplete) injury is concluded. If the symptom of function is not seen at the lowest level of the spinal cord, it is evaluated as a full (complete) injury. Partial injuries are classified according to the degree of muscle strength and the degree of protection of the sensation below the level of injury. Determination of the level and degree of spinal cord injury is a guide in determining the goals of physical therapy and rehabilitation. What are the Effects of Spinal Cord Injury? The effects of spinal paralysis vary according to the level of injury. In the case of injuries above C4-the upper level of the neck, in addition to both legs and arms, paralysis may occur in the respiratory muscles of the person and the person may need to be connected to the respiratory device. There are shoulder and elbow movements in C5-level injuries, but the person cannot move his wrist or his hand. In the case of a C6-level injury, the wrist can be moved but there is no finger control. In C7 and T1 injuries, the arms can be extended from the elbow, but the hand is weak. In injuries at lower levels of T1, the arm and hand functions are preserved, only the legs are affected. In injuries at T1-T8 levels, body and abdominal muscles are weak because the body control is weak. In injuries between T9 and T12 levels, body control and sitting balance is good. L and S level injuries affect hip and ankle. While these features are true for complete spinal cord paralysis, partial (incomplete) paralysis may have better clinical manifestations because of preserved functions under the level of injury. Spinal cord paralysis in higher levels can cause problems in regulating blood pressure and body temperature. Bladder and bowel functions can also be impaired to various degrees. Can Spinal Cord Injury Be Cured? At the moment, there is no method of treating spinal cord injury completely. In cases of traumatic injuries if present, spinal fractures are stabilized by surgery. In order to reduce the edema due to trauma, some drug therapies can be applied in the early period. After spinal cord paralysis, there is a certain improvement especially in partial paralysis. Full paralysis may also improve, but the ration of this is less. The healing process can last up to 1.5 years. Physical therapy and rehabilitation are very important in patients with spinal cord paralysis. Although it is not possible to fully recover the lost functions due to spinal cord paralysis, the life time and quality of these people increases with the application of the best medical care and treatments in every field. Rehabilitation also helps functional recovery in a number of patients with spinal cord paralysis. Spinal cord paralysis is an event that shocks the body. 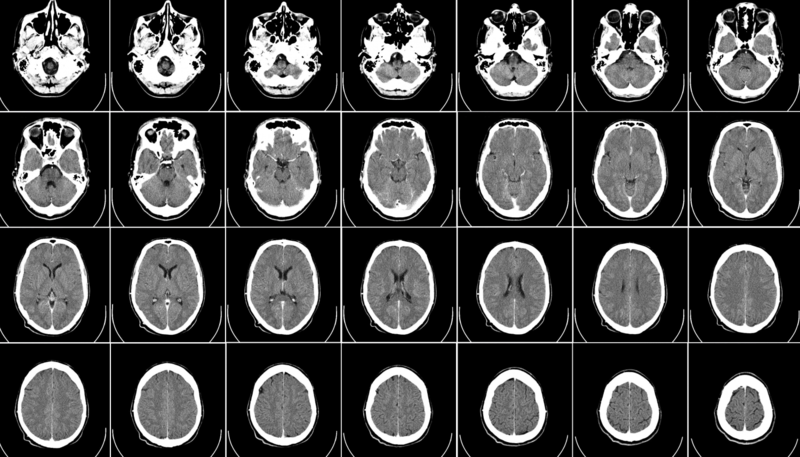 The brain is disconnected from the level of injury with the body part below. The body, which had previously been ruled by the brain without effort, should now be consciously maintained and controlled. Because the tactual sense is lost, frequent position changes and skin controls are required to prevent pressure sores from occurring. As the urine sensation is lost, the bladder should be discharged with a single-use catheter 6 times per day with the method called clean intermittent catheterization (IC). In this method, the risk of urinary tract infection is less than the permanent probe. In order to prevent bone loss and to ensure blood pressure control, even if the person cannot stand up with his own power, with various assistive devices (tilt table, robotic walking devices) patients are lifted and walking movements are carried out. Arm and leg movements should be performed to prevent joint stiffness. For people with weak respiratory muscles, training on respiratory physiotherapy is provided, thus reducing the likelihood of developing lung infections. Botulinum toxin A injections may be useful for people with undesirable muscle contraction (spasticity) if the contractions are confined to several chambers. In patients with common spasticity and simpler methods are ineffective, these contractions can be reduced with the device called “intrathecal baclofen pump”. Studies on techniques such as stem cell, spinal cord stimulation, neural prosthesis to improve spinal cord paralysis are ongoing. Although there are some promising case reports, these methods are still in the experimental stage. Write us for your questions, suggestions and appointments. 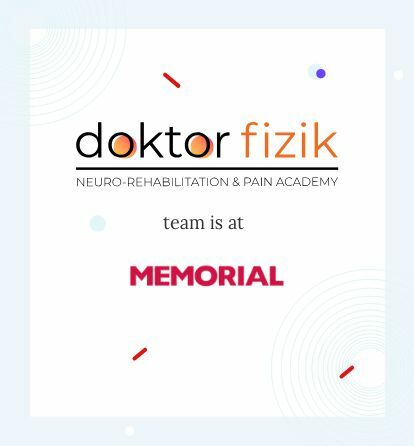 DoktorFizik is a team of physicians, physiotherapists, physical therapy technicians and rehabilitation nurses working on physical therapy and rehabilitation, electrodiagnostic neurology, pain management, complementary medicine applications; focusing on intensive academic / clinical studies on neurorehabilitation and pain management. Our expert staff continues their clinical and scientific activities at Memorial Şişli Hospital. These contents are for informational purposes and should not be used for diagnosis or treatment.